After I got my BlackBerry PRIV I started noticing that some phone calls sounded crystal clear. It took a while to recognize that it was just calls with certain people and hence certain phones. I most often noticed it when I was speaking with my daughter and her iPhone 6. I Googled around trying to figure out why those calls were different. What I came across was the HD Voice feature that AT&T has enabled using their Voice over LTE (VoLTE). HD Voice is essentially wideband audio technology, something that long has been used for conference calling and VoIP apps. Instead of limiting a call frequency to between 300 Hz and 3.4 kHz, a wideband audio call transmits at a range of 50 Hz to 7 kHz, or higher. That’s much more in line with the human voice, which transmits audio between 75 Hz and 14 kHz. HD Voice also takes in more audio samples per second than a standard call. Instead of 8,000 audio samples per second, HD Voice calls double that to 16,000. That way, you’re able to hear more details in a person’s voice during a call. But you have to hold your mouth right to get HD Voice. For example the iPhone 5 has the technology but AT&T has elected to only support HD Voice over their VoLTE which the iPhone 5 doesn't support. AT&T could support HD Voice over GSM (which the iPhone 5 does support) but AT&T has elected not to. Here's AT&T's page on their HD Voice. Notice that it requires specific SIM cards. Don't sweat checking your SIM card. Just walk into an AT&T store and ask for a new SIM. They're free and it'll only take a couple of minutes. Here are AT&T's phones that support HD Voice. My daughter's iPhone 6 does support VoLTE as does the BlackBerry PRIV so if the planets are aligned I get HD Voice calls with my daughter. I've been a fan of Windows Defender, formerly Windows Security Essentials, for a while mostly because it is free but it's also quiet. 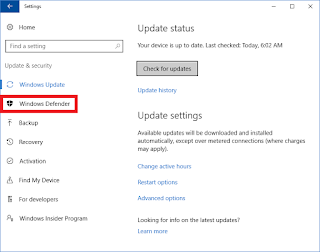 Recently I heard a discussion that recommended Windows Defender over third party alternatives since Windows Defender didn't add any new attack surfaces to Windows, e.g. Symantec. Anyway this discussion is about a new capability added in Windows 10 version 1607 Anniversary Update. I stumbled on this when checking for new updates. 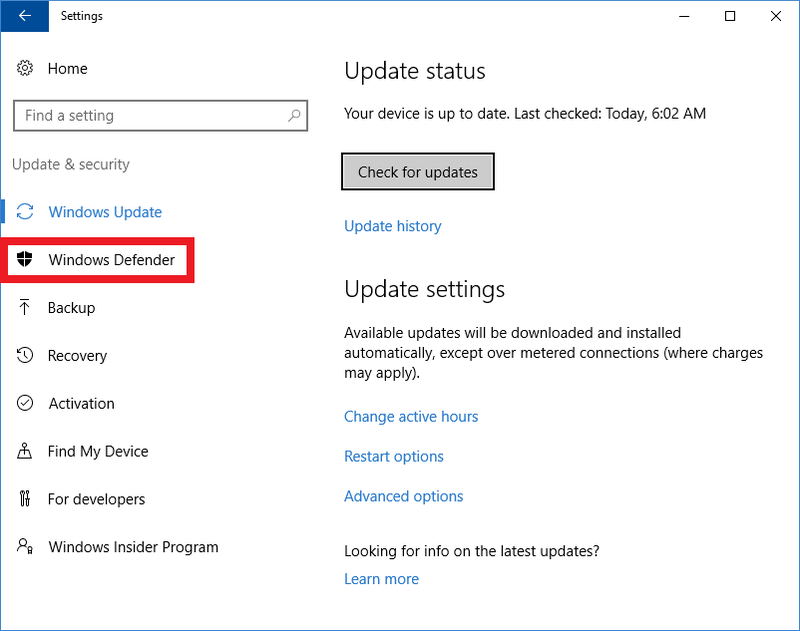 In the left-hand column, click on "Windows Defender." 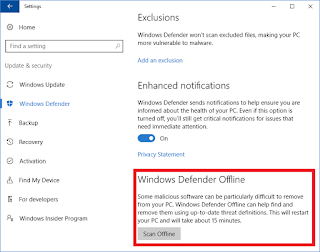 Scroll down until you see "Windows Defender Offline". Click on "Scan Offline". 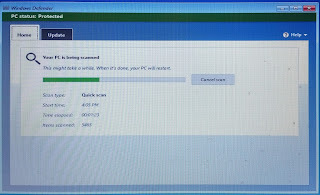 After you click this button, your computer will automatically reboot and begin scanning your PC for malware. The scan may take up to fifteen minutes. 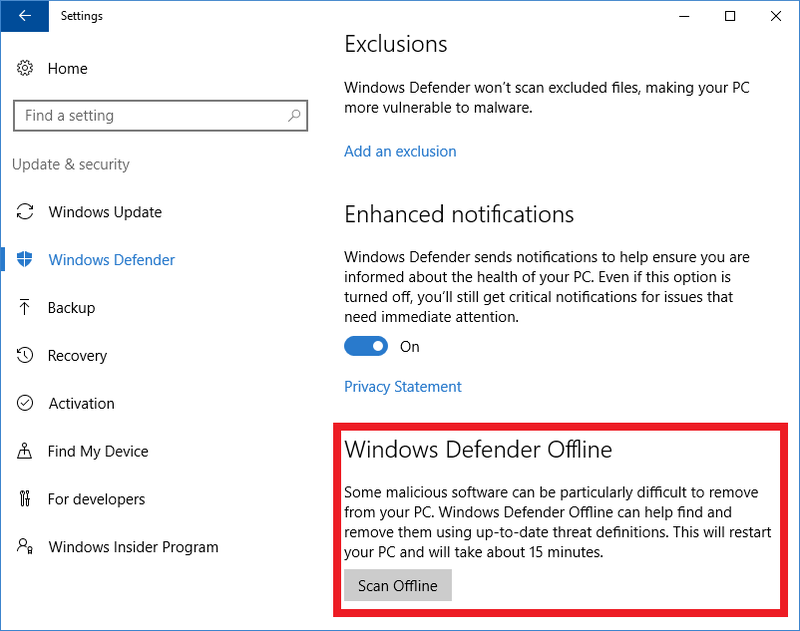 If any malware is found, you’ll be prompted to clean it up from within the Windows Defender Offline interface. 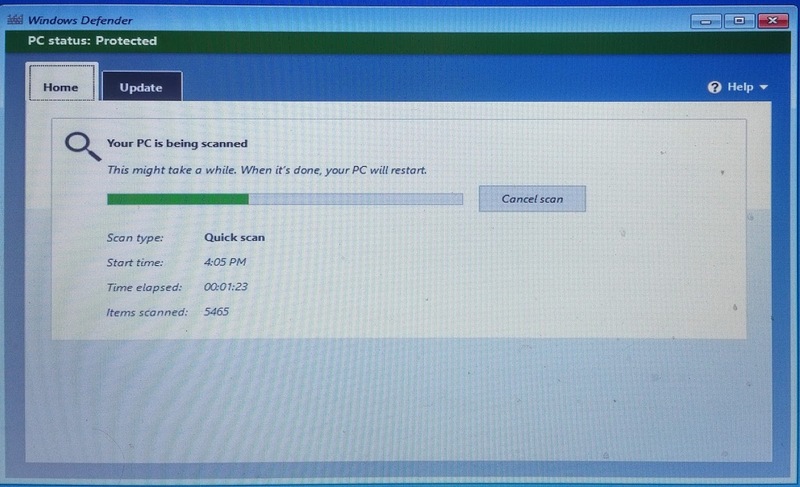 If no malware is found, your computer will automatically boot back into Windows once the scan is complete. For me it ran a "Quick scan" and took just under 4 minutes. This article got me to looking around in Windows 10's notification settings. When you've got time on your hands go to these pages in Windows 10 settings and judiciously turn things off. You can also click on the icons in the list "Get notifications from these senders" and fine tune each app's notifications. Here's what Dropbox's looks like. Look around. You'll find lots to tweak. No, I'm not talking about video signals. I listen to a lot of security podcasts. I'd been hearing them talk about "red teams" and "blue teams." I didn't know what they were talking about. So off to Google and I came up with this. These terms refer to teams that participate in penetration tests. 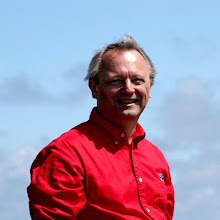 Red Teams are external entities brought in to test the effectiveness of a security program. This is accomplished by emulating the behaviors and techniques of likely attackers in the most realistic way possible. Blue Teams refer to the internal security team that defends against both real attackers and Red Teams. Blue Teams should be distinguished from standard security teams in most organizations, as most security operations teams do not have a mentality of constant vigilance against attack, which is the mission and perspective of a true Blue Team. Purple Teams exist to ensure and maximize the effectiveness of the Red and Blue teams. They do this by integrating the defensive tactics and controls from the Blue Team with the threats and vulnerabilities found by the Red Team into a single narrative that ensures the efforts of each are utilized to their maximum. When done properly, 1 + 1 will equal 3. So what are Green Teams? Green Teams behave as common users of the services provided by the Blue Team. Reminds me of the old joke. End users are there to create a test workload.